The Los Angeles Lakers have shocked their rivals on the road. With a slight 127-126 lead in the final seconds against Boston, Kyrie Irving successfully drove to the basket and notched the layup to give the Celtics a 128-127 lead. 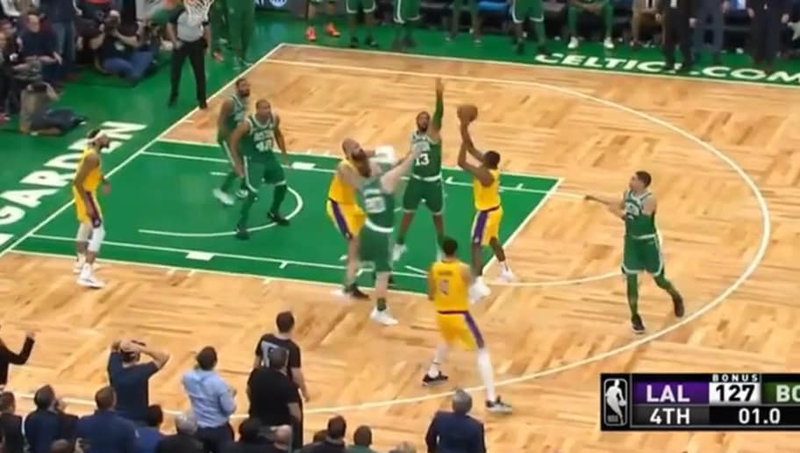 The Lakers would drive down the court, and after a failed layup attempt by Brandon Ingram,​ Rajon Rondo would grab the deflected rebound and hit a buzzer-beating shot from inside the arc to give the Lakers the win. ​With all the talk surrounding the Los Angeles Lakers, from​ losing out on Anthony Davis to the speculated deteriorating relationship between LeBron James and his team, the Lakers came together to pull off the upset. Brad Stevens: “I think the basketball Gods rewarded the right team. I hate to say that.” Stevens said the Celtics defense wasn’t good the whole game. The Lakers have silenced us all for now.